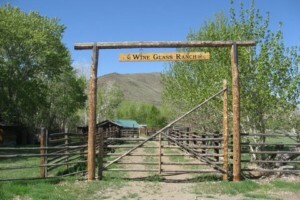 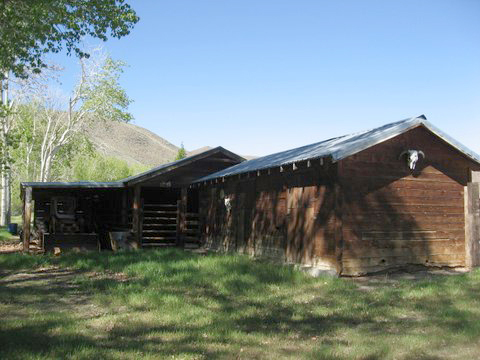 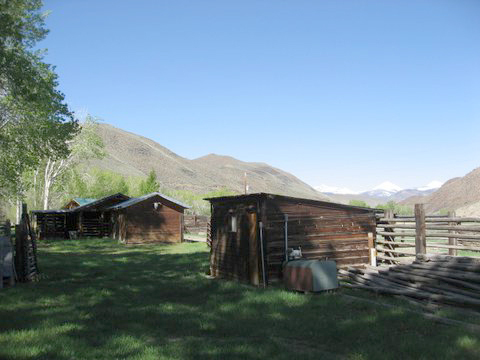 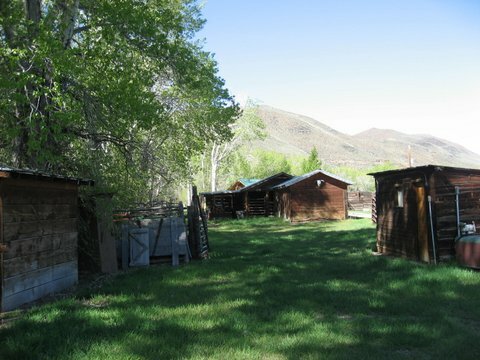 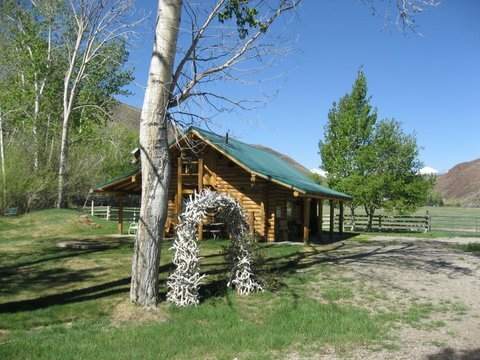 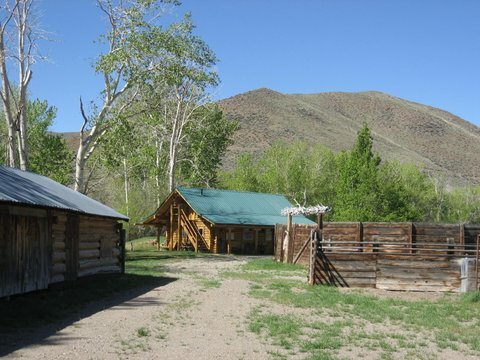 The charming Wine Glass Ranch consists of 33 deeded acres with Challis Creek running the length of the ranch. 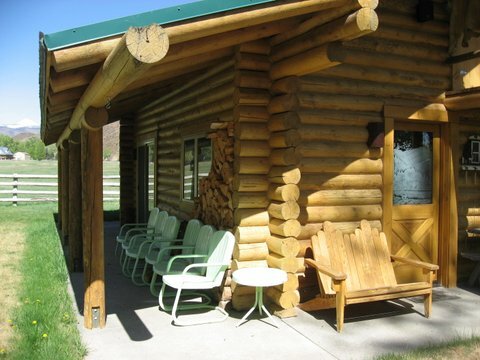 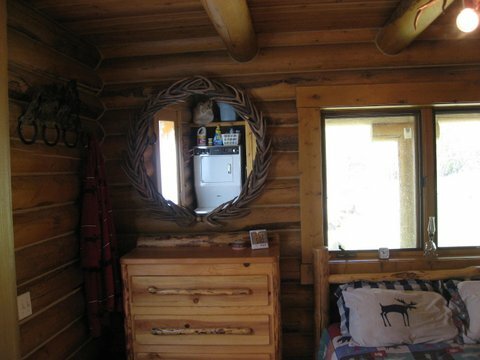 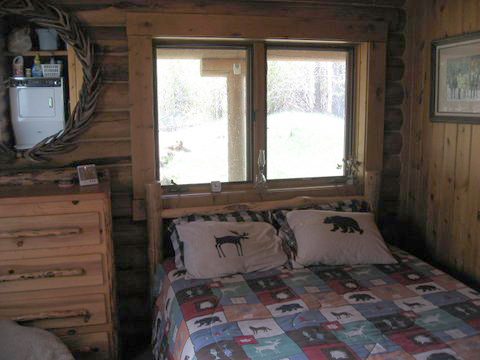 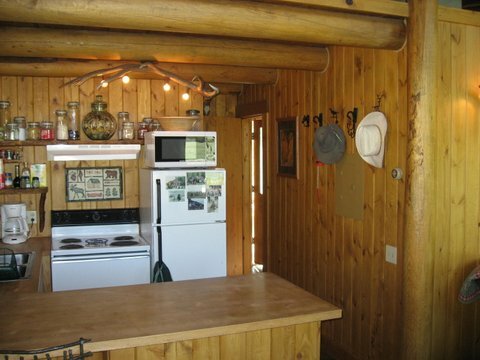 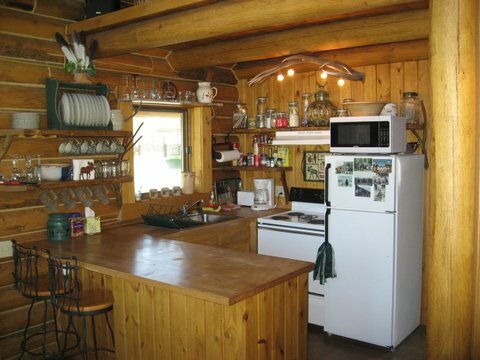 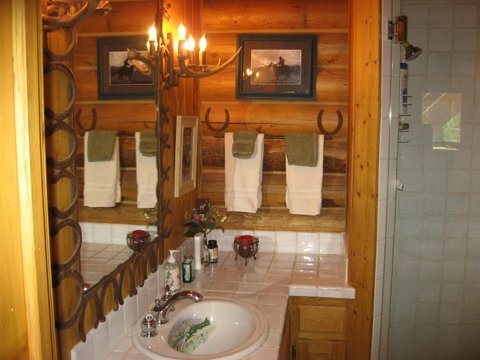 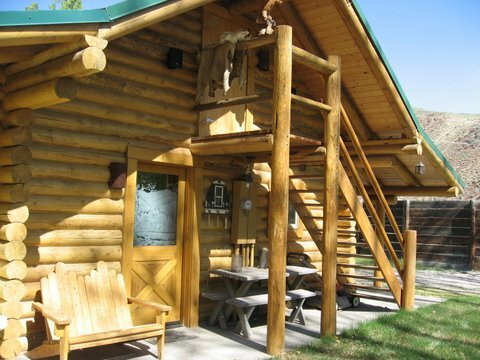 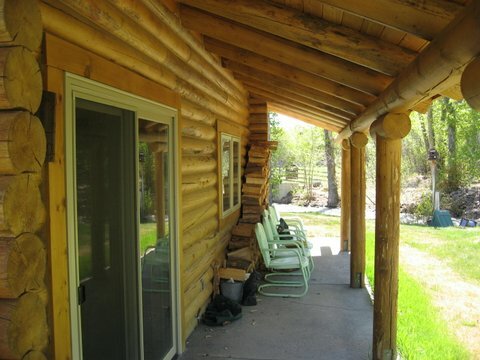 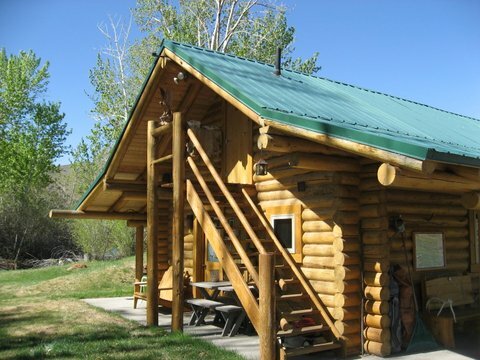 The ranch house is a very attractive cozy log house. 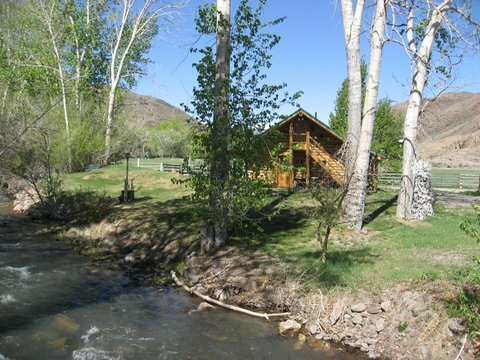 The house is in immaculate condition and rest directly on the bank of Challis Creek, with views in all directions. 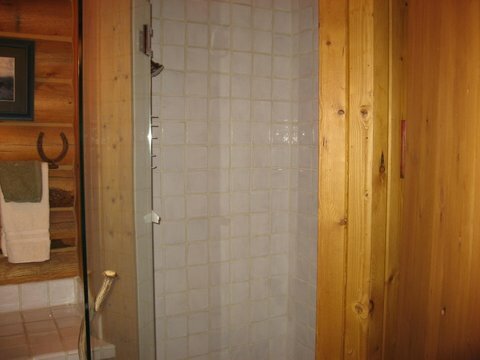 The house consist of one bedroom down stairs, with a very nicely appointed bathroom on the ground floor and a loft bedroom on the second floor. 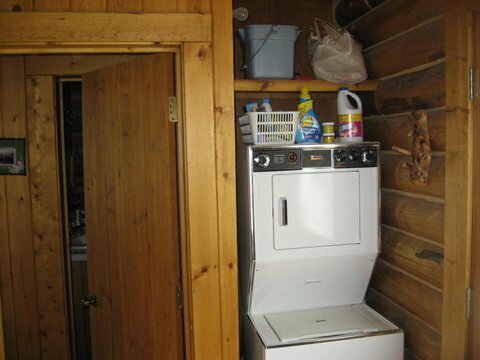 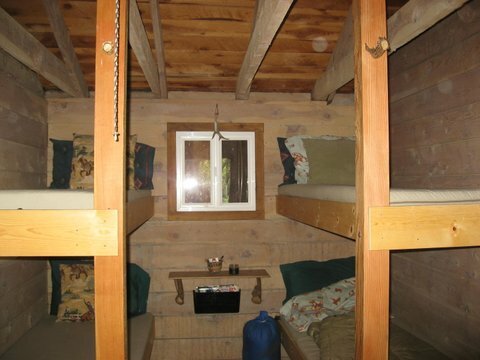 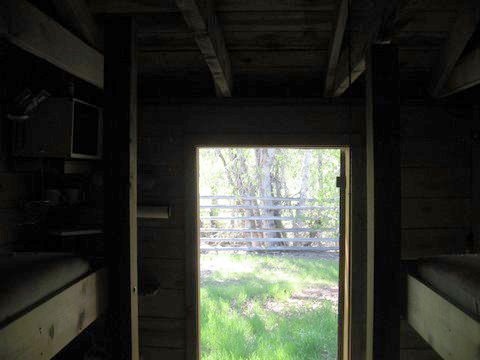 There is also a separate bunkroom house with two bunk beds. 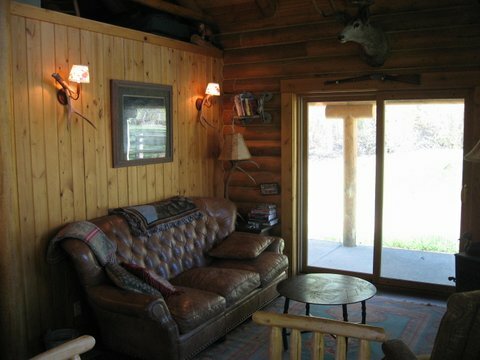 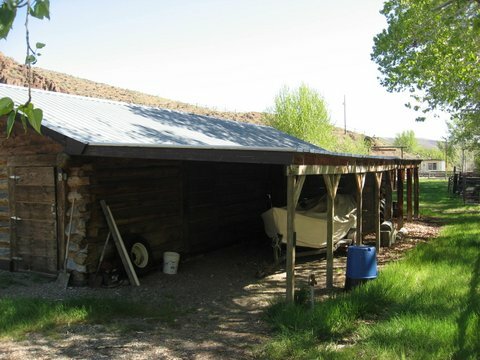 The ranch is set up for a hunting and fishing lifestyle. 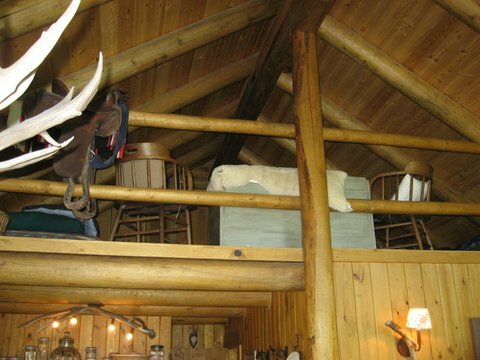 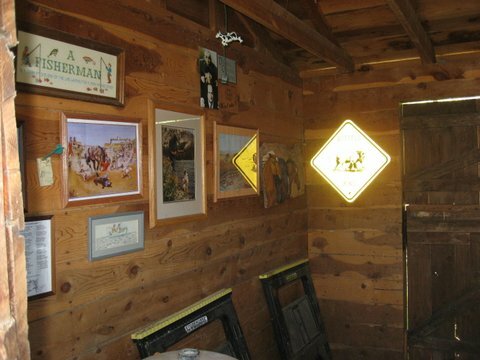 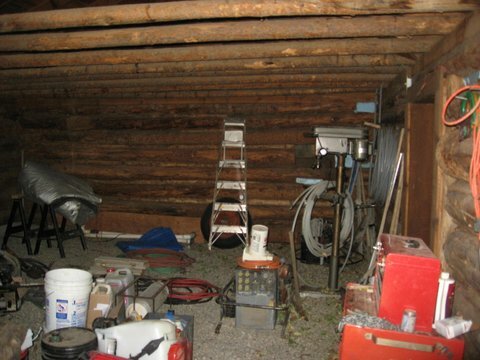 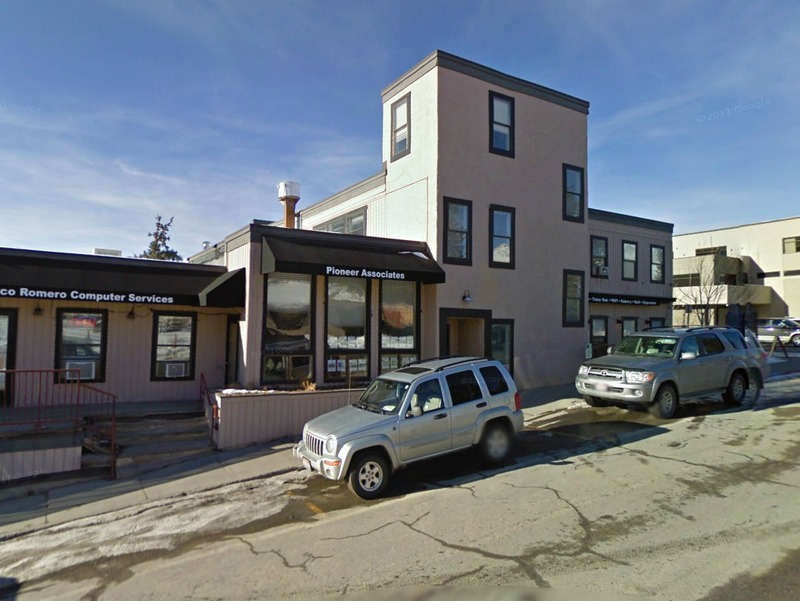 There are several out building to store all of your hunting, fishing and boating toys. 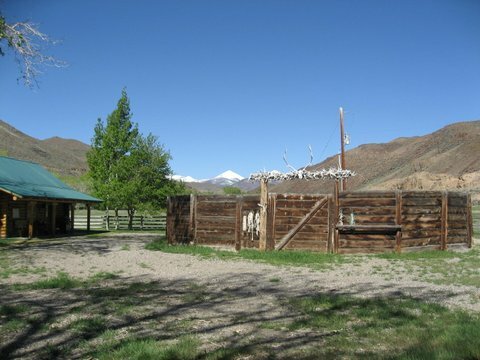 The ranch also has a complete setup for horses. 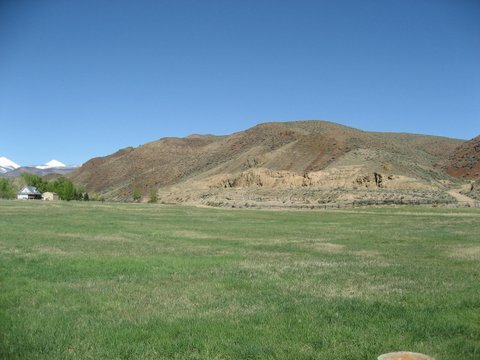 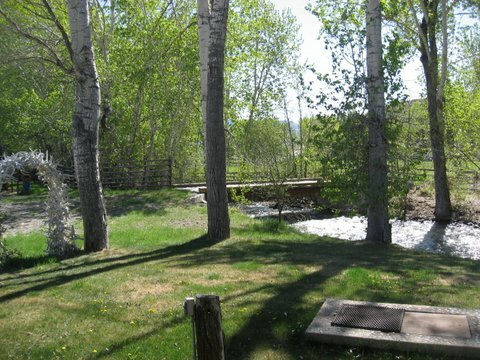 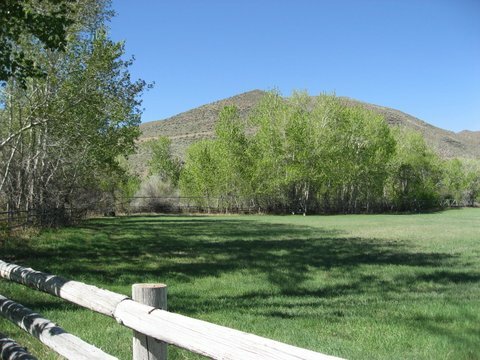 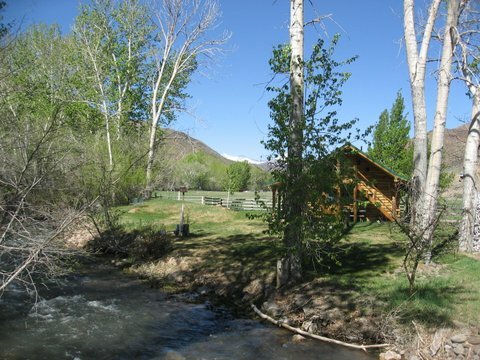 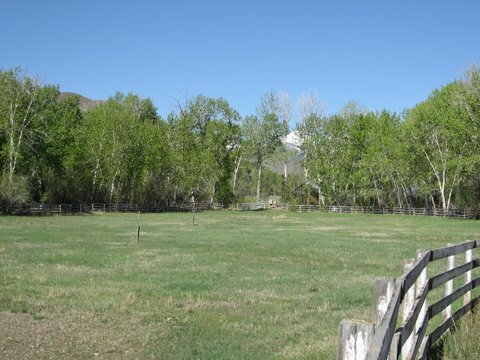 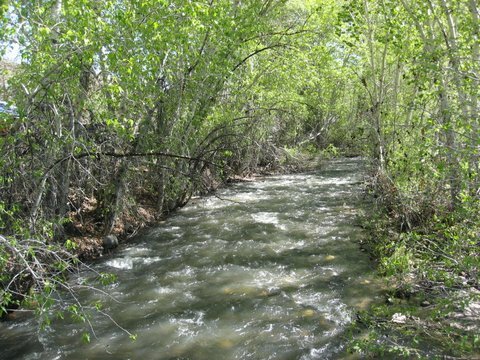 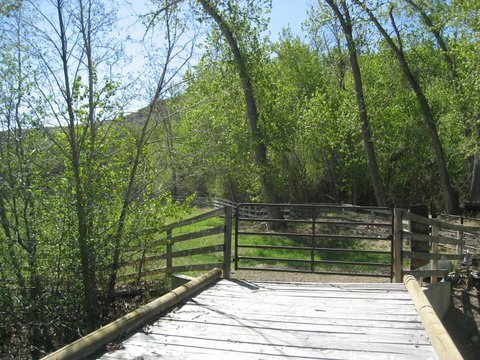 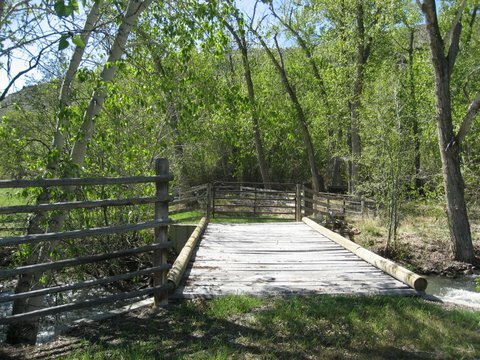 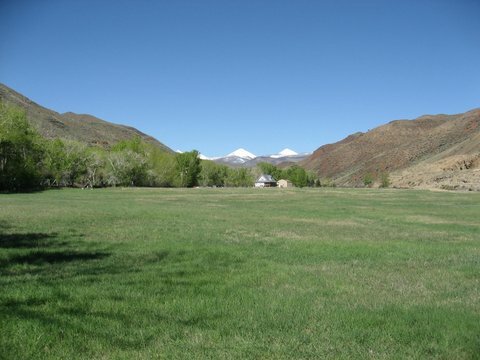 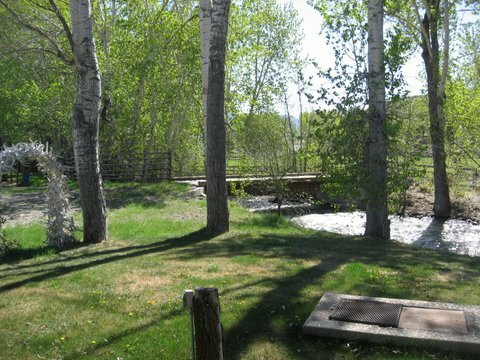 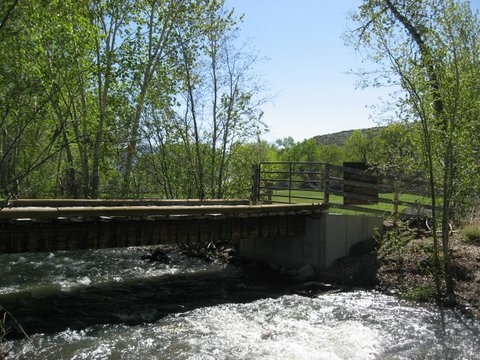 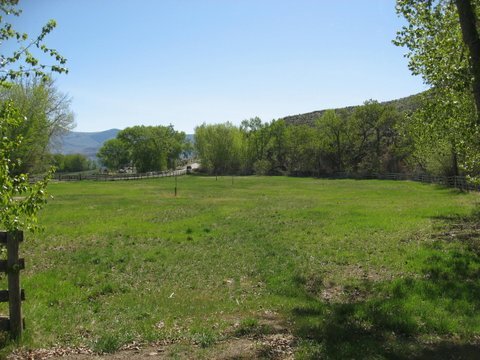 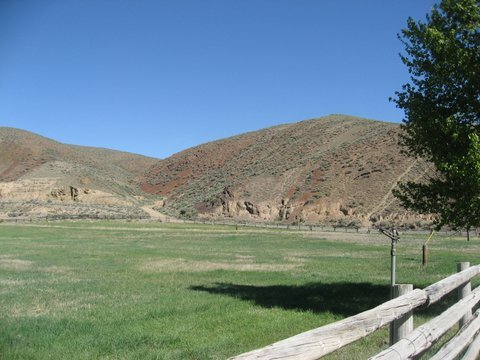 There are two beautiful irrigated horse pastures that are sprinkled with Challis Creek water. 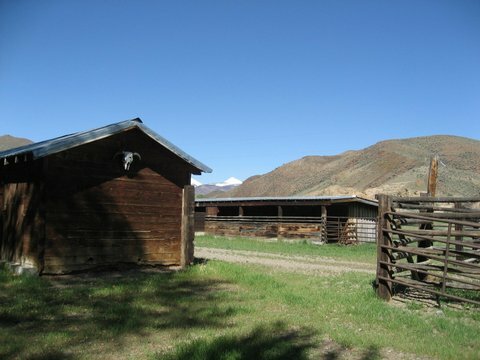 The ranch also has a round pen and another building with horse stalls and a tack room. 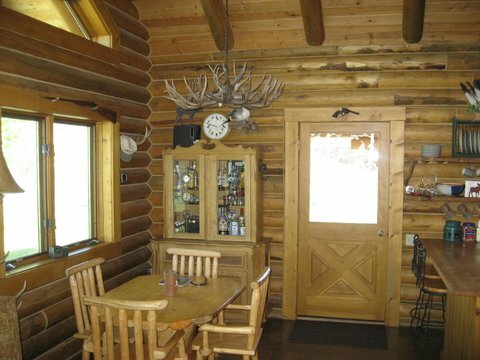 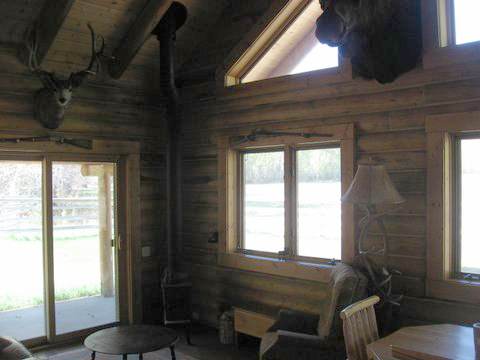 This ranch is waiting for the sportsman who wants to fish and hunt right out the back door. 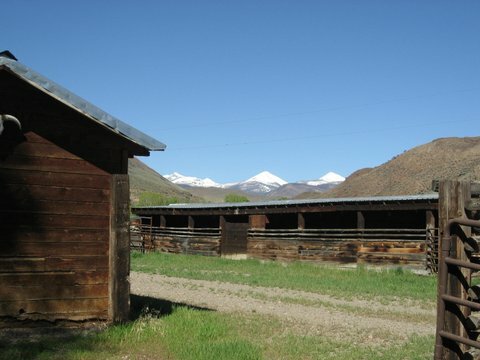 You can ride your horses for miles in each direction, offering world class big game hunting. 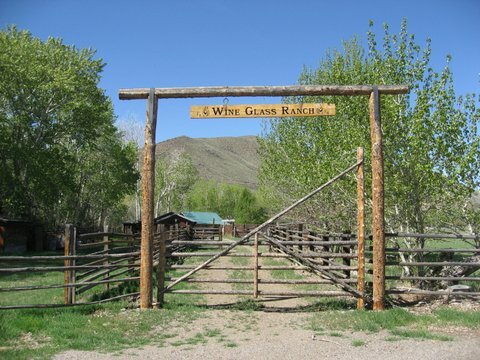 The Salmon River is also only a ten minute drive the ranch, which offers salmon as well as steelhead trout fishing.